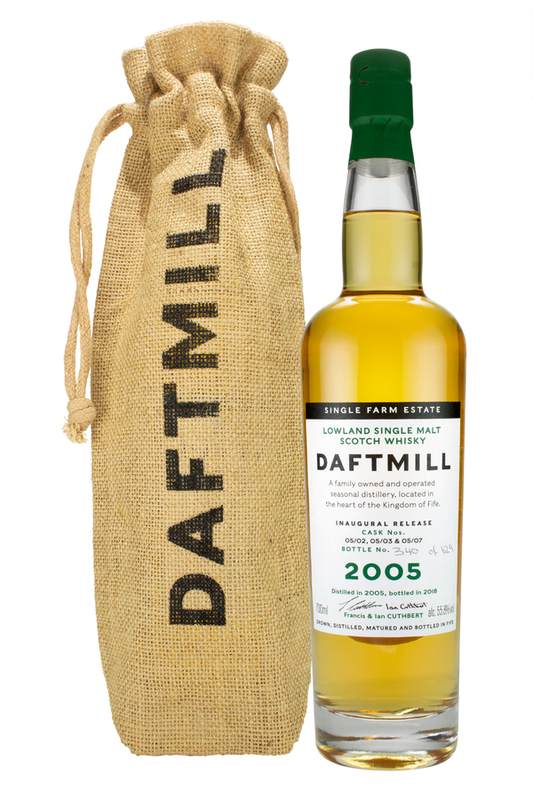 This 12-year-old single malt was distilled in 2005, Daftmill's first year of production, and is the first release from the distillery that was converted from a mill on the Cuthbert family's farm. Matured in first-fill ex-bourbon barrels from Heaven Hill distillery and bottled at a cask strength of 55.8% abv, only 629 bottles were released in June 2018. This is bottle number 340. Honeycomb and lemon on the nose, with creamy barley and rich chocolate emerging in the palate, followed by a touch of mint in the sweet finish.